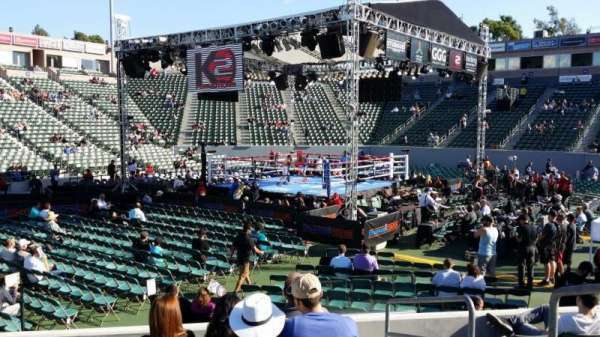 This was taken from the Golovkin vs. Rubio / Donaire vs. Walters co-feature at StubHub Center on 10/18/14. Hopefully, it will help others get a better perspective of the view from the stands. The picture looks much further away than in person.